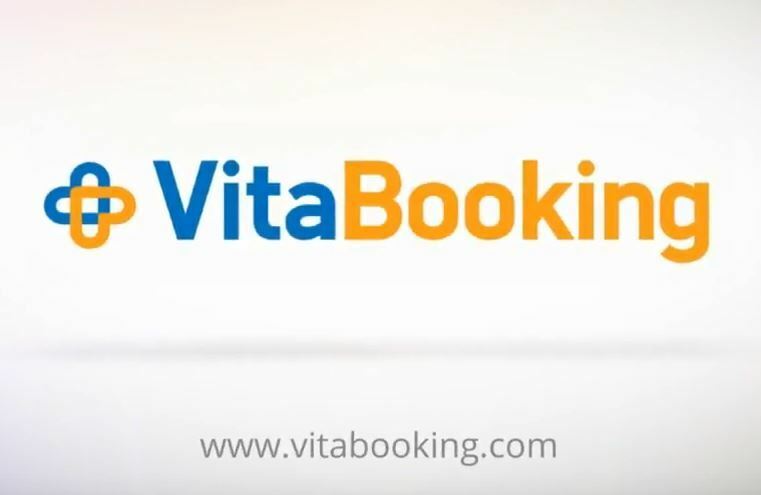 “www.vitabooking.com” is a website owned by “ΗΤΒ HEALTH TOYRISM BOOKING LTD”, a company based in Nicosia, Cyprus, legally represented. Given that our company reserves the right to update/amend these ToU from time to time, you are requested to check the contents of the relevant web pages regularly, in order to keep track of any such updates/amendments. Your continued use of this Website following any such changes implies your unconditional acceptance of the updated/amended terms and conditions. - “Company” means ΗΤΒ HEALTH TOYRISM BOOKING LTD, an entity governed by the laws of Cyprus, with registered office at 11, Akropoleos St, Kaimakli, Nicosia, Cyprus. - “VitaBooking” means the website which is owned, controlled, operated and maintained by the Company. - “Service” means the ability to make online reservations for medical and healthcare services with private first-, second- or third-degree healthcare service providers as well as reservations for other travel services that are made available to users in combination therewith or otherwise, to the benefit and for the facilitation of the users. - “Healthcare Service Provider” (HSP) means the provider of a medical/healthcare service, i.e. a private first-, second- or third-degree healthcare service provider. - “Medical Package“ means a set of medical/healthcare services offered through the Platform for package reservations, including the available medical services and related costs. - “Tourist Package“ means a set of tourist and/or other services offered as a package, either independently or in combination with a medical package, which is available for reservations on the Platform. - “Users“ means any users accessing the website and using the online reservation services in relation to medical packages and other travel services. “Medical package reservation procedure: After navigating through the website and familiarising themselves with the available medical packages, users can make online reservations for desired dates, by creating a user account. To ensure proper registration and prevent unauthorised log-ins by third parties, each user receives an activation link by email as soon as the registration process is completed, in order to activate his/her account. Once the user account has been activated, the user may submit a reservation request for a medical package, along with all personal information required for the consummation of the reservation service. The relevant Healthcare Service Provider (HSP) receives the patient’s reservation request promptly; confirms availability on the selected dates and requests through the platform all medical documentation required for authorisation of the requested medical/healthcare service. The user then submits through the platform (by email) the requested documentation, in encrypted format, and the HSP notifies the user as soon as his/her request is authorised and provides an accurate estimate of the related costs. If the user agrees with the cost estimate, he/she completes the reservation and effects payment as per the terms of payment laid down in Sections 5 and 6 of these ToU. We note that the company provides information on medical/healthcare services that are available by private healthcare service providers as well as information on the related costs and well as information on whether it is possible to make online reservations for medical packages. The company further provides users with information and trip planning/organisation services relating to the reservation of travel and other services offered and displayed on the platform, e.g. hotel / transport / ticket / concierge service reservations. Users are liable to familiarise themselves and accept each HSP’s terms of service and the terms of the tourist packages concerned - which are made known to users as part of the description of the related services - before completing the reservation process. Cookies are small electronic data files installed by websites on the user’s browser and stored on his hard drive. Unless you agree to have Cookies installed on your device, you can adjust your browser’s settings to reject all Cookies or to be notified every time a cookie is installed on your device, so that you can decide whether to accept or reject it. You may erase Cookies from your device any time. If you choose to block or erase Cookies, certain functionalities of the websites you access may not operate properly. C. Targeted advertisements: We use information collected through Cookies to promote our legitimate interests by providing targeted advertisements. Where necessary, we will request your consent before installing Cookies on your device for that purpose. You may withdraw your consent any time. You may also prohibit the processing of your personal data for advertising purposes any time. As our corporate policies are constantly changing, this Cookie Notice may, too, be subject to amendment. If you wish to keep track of changes made to this Cookie Notice from time to time, please access this Notice regularly. The price of each medical / healthcare service available on the Platform is determined by the relevant HSP and includes all applicable taxes and charges. The Company bears no responsibility for such prices and/or for any changes thereto. The medical packages available on the Platform are offered at particularly competitive prices, as they are mainly addressed to foreign citizens who intend to travel to Greece to obtain the desired medical/healthcare services. Such prices include the cost of the services that are thoroughly described in the medical package concerned. Any extra costs relating to services which are not included in the relevant medical package and may arise during the patient’s stay or as a result of any additional medical examinations or as part of a more comprehensive treatment, are borne by the patients. Any such extra costs, if or when they arise, are promptly disclosed to the patients by the HSPs, in thoroughly documented format, in order to allow patients to either accept or reject them. After navigating through the website and familiarising themselves with the available medical packages, users can make an online reservations for the desired dates, by creating a user account. The user then submits through the platform (by email) the requested documentation, in encrypted format, and the HSP then notifies the user as soon as his/her request is authorised and provides an accurate estimate of the related costs. If the user accepts the costs, he/she completes the reservation by entering his/her credit card details to pay an advance fee equal to 20% of the cost of the package. Once advance payment has been effected as above, the user receives a confirmation email including the reservation particulars and the relevant payment receipt. The outstanding balance of the price (80%) is payable directly to the HSP, as per the latter’s payments policy and terms. The completion of an online reservation creates a legally binding contractual relationship between the patient and the relevant HSP. As soon as your reservation is finalised, the Company operates strictly as a patient/HSP intermediary, forwarding the details of the final reservation and its terms to the relevant HSP, and the HSP’s confirmation email and the terms of the relevant agreement to the patient. Payments are processed securely, through your debit/credit card or by means of a wire transfer from your bank account to the HSP’s account, through third parties. The credit card holder's details are automatically forwarded to the associate HSP, who charges the user’s credit card, where the services concerned are offered against a commission fee. Users are liable to only use credit cards of which they have legitimate possession and use. If a user repudiates and cancels the medical package prior to the scheduled date of supply of the related services, the 20% advance payment is not refunded, on account of the information / reservation processing services that were offered through the platform. The remaining 80% of the price of the medical package is subject to the HSP’s payments policy. The Company may offer you, trip planning and organisation services, at your preference, in the form of the travel services and tourist packages displayed on the platform. The Company further provides other related services to facilitate and support your medical trip (interpretation / translation services etc.). The price of each tourist service available on the Platform includes all applicable taxes and charges. The tourist packages available on the Platform are offered at particularly competitive prices, as they are mainly addressed to foreign citizens who intend to travel to Greece to obtain the medical/healthcare services that are offered in combination therewith. Payments are processed securely, either through your debit/credit card or through your bank account. The credit card holder's details are automatically forwarded to the associate HSP, who charges the user’s credit card, where the services concerned are offered against a commission fee. Users are liable to only use credit cards of which they have legitimate possession and use. By making a reservation for a tourist package or other service, you accept and agree with the relevant payments policy, cancellation policy and the terms and conditions that were notified to you in relation thereto. Please bear in mind that certain prices or special offers are not subject to cancellation or amendment. Please review the related information carefully before making a reservation. Cancellation and payments policies may vary, depending on the tourist package/travel services concerned. Please read carefully the fine print and other important information displayed in the confirmation of your reservation for any additional terms or policies. You bear the risk of late payment, wrong bank, inaccurate debit/credit card information, invalid debit/credit cards or insufficient account balance and may not claim a refund of any (non-refundable) prepayment you may have effected, save as otherwise provided for in the applicable payments and cancellation policies. If you wish to cancel or modify your reservation, you must submit a request to that effect as soon as possible. If the requested cancellation or change is permitted under the applicable terms, you will be notified accordingly and the relevant terms shall apply as regards the refundable amount and the amount withheld by way of cancellation charge. The users of the services shall be exclusively responsible for obtaining and holding, prior to the starting date of their trip, all necessary travel documents, duly validated, and all accompanying documents required for their trip (visa, passport, stay permit etc. ), according to the laws, regulations, directives and travel requirements applicable from time to time at the places of departure / destination / transit, and must be at all times aware of the legal consequences threatened against them or against third parties in case they fail to comply with such requirements. In any case, we remain at your disposal for any additional advice you may require. The Company may not be held liable for any direct or indirect, accidental, special or consequential loss of property or other damage arising from a user’s failure to obtain the required travel documentation. Users are therefore advised to obtain from valid sources (e.g. embassies, consulates etc.) all necessary information relating to the terms and conditions of their trip, before proceeding to travel arrangements. The information we disclose to third parties in the context of our services rely on information we receive from HSPs. HSPs are therefore exclusively responsible for the accuracy of the price/availability information or any other information displayed on our Platform. Although we take all reasonable steps to ensure the reliable provision of services, we may not confirm or guarantee that all information displayed on the Website is accurate, complete or correct, nor may assume liability for any errors, interferences due to suspended operations or due to any restoration / upgrade / maintenance works or for any other cause and for any inaccurate, misleading or untruthful information. The information and presentations publicly displayed on our Website reflect(s) the personal views of its providers (physicians or otherwise).Therefore, they are strictly informative and advisory in nature and may not substitute any diagnosis, treatment, clinical examination or advice deriving from specialised health professionals. Users should not consider the information which is publicly displayed on our Website as a substitute for any medical advice or treatment or for any professional medical advice, examination, diagnosis or cure. The Company neither guarantees nor assumes responsibility for the adequacy, suitability or availability of any goods or services offered by third-party providers, or for any acts and omissions committed by such third-party providers in the context of their collaboration with the Company and/or the performance of the services - where such acts or omissions are potentially capable of raising claims for damages on any legal grounds. However, to the extent the law permits, neither we nor any of our employees, representatives, subsidiaries, associates, distributors, online collaborators or any other parties howsoever involved in the development, sponsorship, promotion or availability of the Website and its content may be held liable for (i) any punitive, special, indirect or consequential loss or damage, loss of production / profit / income / contract / clientèle / claim for damages or damage to reputation; (ii) any ambiguity relating to information supplied by third-party providers (including price / availability / evaluation information) and displayed on our Platform; (iii) any products or services offered by the Supplier or other business partners; (iv) any (direct or indirect, consequential or punitive) damage, loss or charges you may have incurred, paid or caused, in connection with or as a result of your use / inability to use / untimely use of our Platform; or (v) any (personal) injury, death, damage to personal property or other (direct or indirect, special, consequential or punitive) damage, loss or charges you may have incurred, paid or caused, as a result of any (legal) actions, errors, infringements, (grave) negligence, intentional error, omissions, non-performance, false representations, tort or objective liability on the part of the hotel operator or any liability which is attributable (in whole or in part) to a third-party HSP or a third-party tourist service provider or to any other of our business partners, whose products or services are offered or marketed (whether directly or indirectly) on or through the Platform, including for any (partial) cancellation, overbooking, strike, force majeure or any other circumstance which evades our control. All content displayed on our Website (including any images, graphics, photographs, drawings, texts, goods and services offered) constitutes intellectual property of the Company and it is protected under the applicable provisions of Cyprian and EU law and effective international conventions. Any reproduction, re-issue, downloading, release, dissemination, transmission or other use of any such content in any manner or by any means, for commercial or other purposes, is subject to prior written consent by the COMPANY or any other legitimate holder of the aforementioned IP rights. All content displayed on this Website (such as, without limitation, any texts, marks, drawings, images, audio files etc.) constitutes intellectual property of the Company and of Company’s associates, suppliers and licensors. By entering this Website you are granted a non-exclusive, limited, revocable license to use this Website for strictly personal, non-commercial purposes. You may not use or reproduce the contents of this Website in any manner, save with the prior written consent of the Company or the content’s licensor. According to the policy governing this Website, any persons violating any third-party intellectual property rights (copyrights, trademarks, domain names, know-how etc.) shall be instantly excluded as soon as the Company gains knowledge of the infringement from the proprietor of the respective rights or from his legal representative. The Company reserves the right to amend these terms unilaterally, without prior notice to the users. Any updated version of these ToU shall be posted on the Platform and shall replace all previous versions. Users are therefore advised to familiarise themselves with and accept the updated ToU before proceeding to any purchase transactions through the Platform.